From a date with a fortune teller to tales of a reincarnated squid, Corness revels in the chaos and charm of ‘the only country where you can be run over by a shop’. Dr Iain Corness fell in love with Thailand on a holiday in 1975, and finally managed to move there permanently in 1997. As a settled farang, or foreigner, he enjoys a unique perspective on Thai life and all its eccentricities; looking in from the outside while also getting to see the things most foreigners don’t. His stories and anecdotes are full of the joys of life, and celebrate this exotic and exciting land in all its glory with painfully funny observations. 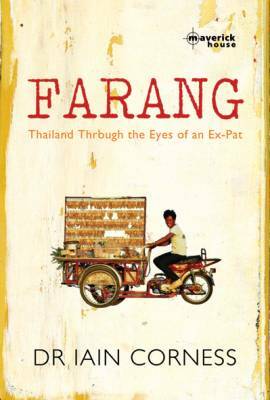 Farang is a book to be enjoyed by tourists and Thais alike.